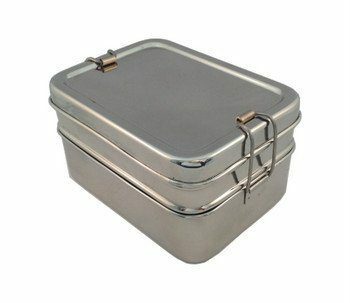 The Tuck-a-Stacker stainless steel lunch box from Green Essentials is a clever and compact 3-in-1 lunchbox that fits neatly together and is perfect for your kids lunch. The non toxic environment friendly stainless steel lunchbox provides a versatile combination of space for you to pack a healthy waste free kids lunch. 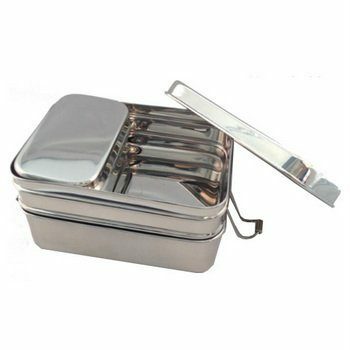 This durable and hygienic stainless steel lunchbox has two rectangle food compartments that stack neatly on top of each other and clip together. It also comes with one stainless steel food container which fits inside the top layer or can be used separately. 2 x rectangular stainless steel layers which easily clip open and close. Top layer can be used separately when not clipped to the bottom layer. 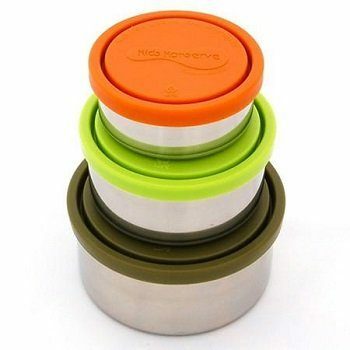 1 x stainless steel food container with lid for nesting into the top layer or use separately.